(CNS): Police have now seized the gun they say was fired by a 29 year old man from Prospect during one of Cayman’s leading festivals and have charged the suspect with a number of serious offences. The man is accused of firing the weapon on a busy George Town street on Saturday evening at around 7pm during the Batabano Carnival when hundreds of people were in the capital for the celebrations. The gunman has been charged with attempted murder, unlawful use of a firearm and possession of an unlicensed firearm in connection with the incident in which, despite the crowds, no one was shot. The man was due to appear in court Monday but police are still looking for more witnesses to the shooting. As a result of the number of people in the area at the time DCI Malcolm Kay who is leading the investigation said it was highly likely that numerous people may have seen part or all of this incident and have important information. At least one shot was fired as one bullet was recovered from a tree in the area where the shots were fired. “The shooting occurred in a very populated area of George Town. The streets were filled with people including lots of children who were out to simply have fun and enjoy the afternoon,” the senior detective stated. “Although no one was physically injured in this incident, it could have ended very differently and an innocent person could have been seriously injured or killed by thereckless actions of this person,” Kay added, as he appealed for people to come forward in confidence. Anyone with information is asked to call DCI Kay or DC Andrew Graham at the George Town CID at 949-4222, or to remain anonymous to call Crime Stoppers 800-8477(TIPS). (CNS): A West Bay man who was wanted by local police has been murdered. Anthony Smith, who jumped into the ocean on a stormy night to evade officers during a foot pursuit last October, was reportedly killed in Jamaica earlier this year. A police spokesperson said that the RCIPS has not yet received an official identification of the man but as a result of the information they received from Mandeville police last Thursday they believe that a body held by the Jamaican authorities is that of 33-year-old Anthony Smith. Smith was known to have left Cayman for Jamaica a few days after he evaded the local police on the night of 1 October. He was shot dead in March but sources tell CNS he was using an alias, which may have delayed his identification. Smith was wanted by police locally for failing to appear in court and drug related offences. He was spotted sitting in a car by local officers on patrol in West Bay near to Alfresco Restaurant on the evening of 1 October. When the police asked him to step out of the car, Smith ran off and, despite the stormy weather that evening and high waves, he jumped into the ocean to evade capture. Because of the rough seas, the police then launched a full scale search and rescue operation involving the marine unit, the police helicopter and regular uniform officers but despite several days of searching on land and seas, there was no sign of Smith. Some three weeks after his disappearance, however, police confirmed that he had made contact with friends and was understood to be in Jamaica. The circumstances surrounding Smith’s murder have not yet been revealed but sources have suggested he was shot in the head and his body found on a street in the Manchester area. The RCIPS said they continue to liaise with the family of Anthony Smith and the Jamaican authorities. Iread a previous Viewpoint about Cayman Brac's plight and felt compelled to expand on the issue from the perspective of a Caymanian with a long-standing love for the island, and a love and respect for many of the Brackers who have chosen to stay on their beloved island come hell or high water – and between Paloma and the recession, Brackers had big helpings of both. Loving the Brac and seeing many Brackers struggling through the hard times there is heart-wrenching to me, so I need to share this because I become saddened and distressed whenever I hear or read about the sad economic plightof Cayman Brac. Some Brackers may be offended by what I have to say, but to them I say: If the shoe fits, wear it! Let he who is without sin cast the first stone. There is a significant cadre of people who sit idly by watching from the comfort of their posh residences and they nary lift a finger to come to the aid of Cayman Brac even though they have the influence and means to effect some changes. Who are these people of whom I speak? Heartless politicians? Nay. Apathetic rich "expats"? Nay. They are Cayman Brackers. And they are part of the problem. As the economy of Cayman Brackers continues to slide, Brackers who want to achieve the success that is measured by wealth and position continue to do what countless now-successful Brackers have already done in times past: they pack up and leave Cayman Brac to seek their fortune in Grand Cayman, or the USA, or wherever the grass is greener. Makes sense to me. Historically speaking, Brackers are not so foolish as to remain on an economically blighted island and expect to make their fortune. What is distressing is that when they do make their fortune, far too many Brackers just about completely forget from whence they came. I call them "Deserters". It is shameful that these same now well-off Brackers – men and women who could make a huge difference by investing some of their wealth and making their influence known back in their home island – have chosen to pretty much put home and their own people on low priority. Yet they have the audacity to stick out their chest and proudly proclaim themselves "Brackers"! Empty words! Even emptier souls. They or their parents may be born on Cayman Brac, but they are "Brackers" in name only and poor examples of Brackers at that. Their hearts belong to their big houses, fancy cars, social status, and fat bank accounts. Some of the well-off Brackers and children of Brackers in Grand Cayman go "home" to visit the Brac now and then and some have modest houses there. But it is pitiful and astonishing how so many of these so-called "Brackers" forget about the plight of their home island until holiday season or long weekends or weddings or graduations or the Agriculture Show. Or funerals. While on the Brac, they join their family and friends in wailing and lamenting how badly the economy of Cayman Brac has slipped and how tough things are on the island. To you I say: If you are not part of the solution, you are part of the problem! If every well off and influential Bracker in Grand Cayman and the USA were to have brought just some of their resources and influence and talents and business acumen to bear in bolstering "their" island, the Brac would now be a lush and flourishing Shangri-La; Cayman Brac would be the jewel of the Cayman Islands. But, sadly, once the wedding is over, once the Agriculture show has ended, once the long holiday weekend draws to a close, the Deserters get on the plane and when back to their Grand life, they forget about the plight of their family and friends back home. If you are a Bracker and have a close family member or friend who fits the description of a Deserter, I would make them hang their heads in shame every time I see them. I hope the term "Deserter" sticks and becomes a meme; it fits so well. For all the combined wealth andinfluence Brackers are said to have in the Cayman Islands, from what I understand, it is a rather young female expat who is now investing millions on the island. And yeah, Brackers, there is the potential that she will have a whole lot of influence on your island. Probably already does. Of course government will bend their ears her way. That is the way things roll. But don't go bashing her! Nature abhors a vacuum. She is doing what some of the more well-off Brackers should have done long ago but did not. She is writing cheques, investing in the island lavishly. Doubtless her investment dollars will bring hermuch say-so in shaping the future of the island. More so perhaps than any one Cayman Bracker. She saw potential that far-too-many stick-out-chest Deserters were either too myopic, too lazy, or too comfy in their Grand lifestyle to give a hoot about. Brackers: please don't groan and complain and snivel and whinge and moan when you finally perceive you are loosing control of your beloved island and it is being overrun with foreign influences. It's too late then anyway. Someone has to take control. Your people never did. In the absence of Brackers with foresight to invest there, it was inevitable that someone would start buying land and writing cheques to develop the island. Be mindful: with money comes influence. That is the way the world works. Cayman Brac may be a wonderful place but it is not immune to the workings of money and politics. Brackers: Don't let it be a surprise that present and future foreign investors' concepts of how they want the island to develop is at odds with yours. That too is inevitable: they are not Brackers. To the Deserters who don't put out any meaningful effort to bolster Cayman Brac now but are thinking about retiring back to the Brac: don't be too shocked if you hardly recognise your home island when that time comes. I see the writing on the wall. Cayman Brac as we have known it is done! A new day has dawned. Don't get blinded staring at the sun. Brackers, had their chance to make Cayman Brac into something they could be proud of, but now it is obvious that they really did not want it. This saddens me greatly. When Brackers are finally on the outside looking in and relegated to feeling like second class citizens on their own island, maybe they can take some small comfort that at least someone from somewhere saw potential on Cayman Brac and seized profitable opportunities that the Deserters turned their backs to. In conclusion, Brackers: the next time you want to complain to someone about the plight of your island and opine what can be done about it, call up a well-off Deserter friend or relative and remind them that their continued apathy and desertion of Cayman Brac count among the reasons Cayman Brac is dying on its feet. Hmmm? Maybe it is fitting that funerals are a big draw in bringing the Deserters back to the island. (CNS): Observers of the night sky in the very early hours of Tuesday morning can watch one of this year’s most exciting celestial firework performances with the Eta Aquariid meteor shower, which is expected to peak tomorrow. Local astronomy experts are anticipating ideal weather conditions, and with a first quarter moon setting before the peak, viewers looking at a dark sky away from light pollution should be able to see as many as 70 meteors or shooting stars streaking through the sky every hour. According to those in the know, the meteors will appear to radiate from a spot in the constellation Aquarius Eta. Aquariid meteors tend to have long paths and leave glowing trails that last for several seconds, so from midnight to dawn local viewers should be able to catch sight of several shooting stars. A meteor shower is as a result of the Earth ploughing through the tail of dust left behind by a comet when it nears the sun and the Aquariids are from Comet Halley. 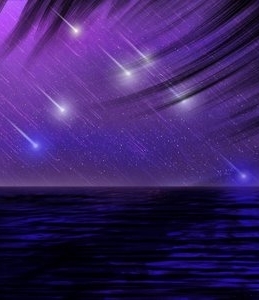 Later this month star gazers could see an even bigger shower of shooting stars. Experts say a small commet discovered in 2004 is on a collision course with earth creating a potential “meteor storm”. She also explained that it will allow the charity to buy in bulk which is much cheaper but after losing their freezer to Hurricane Ivan in 2004 the volunteers have been managing without one for ten years. "Meals on Wheels performs an absolutely vital function in our community and it is a cause which resonates particularly strongly amongst our staff," said Ashley Gunning, partner with Walkers. "We are delighted to support such a fine organisation in any way we can." 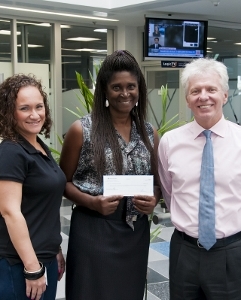 All Walkers employees in Cayman get the chance to opt into the 'Dress-Down Day' programme, which is managed by the firm's Sports and Social Committee. Charitable causes are selected quarterly by the firm, with input from staff members, who get the opportunity to nominate a particular organisation. (CNS): A local defence attorney has filed an official complaint with the complaints commissioner after he says he was given the run-around by courthouse officials when he tried to get a file for a client he was representing in a criminal matter. Peter Polack said that he was astounded by the incompetence and nonsensical approach taken by court administrators who refusedto give him the documents the court held on his client. Polack has complained about court management and the attorney general, as head of the legal portfolio, for unreasonable conduct and inadequate administration. Polack said he began his efforts to gather the necessary files for the court case, which is due for trial later this month, on 11 April when he was instructed to take the case. He called the courts and followed up with an email asking the supervisor of the criminal registry to copy the contents of the file, which he would collect later that day so he could get to work. Almost immediately Polack encountered a bureaucratic stumbling block when he was told the court would not copy the file because he was not representing the defendant as the record indicated another lawyer had the case. However, that lawyer had officially come off the record more than three months before. The bureaucracy was to mount over the following days as the chief magistrate, the clerk of court and the deputy of public prosecutions all became involved as Polack battled for more than two weeks to get his client’s file. Told that he could have it, Polack made repeated visits to the court only to find he could not have the file as they were still not convinced he was representing the client, despite the orders to the contrary. Disclosure problems continue to plague defence counsel in criminal cases, who complain bitterly and frequently in the courts about the difficulty in getting evidence and supporting documentation about their clients’ cases from the police and prosecutors. But Polack’s issues were with the courts as it was the public prosecutor’s office that eventually gave the lawyer a copy of their file to assist in keeping the case on track. Polack told CNS that it was more than unreasonable that everyone in the system had access to his client’s file except the lawyer defending him. He also indicated that the delay in securing the critical documentation was a breach of the defendant’s human right to a fair trial. Polack said this was “nothing more than a bureaucratic nonsense as a result of management’s efforts to cover up incompetence". Frustrated by the events, Polack said he was not prepared to simply brush off the experience and was intent on highlighting the inadequate service and unreasonable conduct by making a formal complaint. (CNS): All couples visiting the Cayman Islands to get married need to pay either 22% duty or leave a 30% deposit on the value of their wedding outfits, customs officials have confirmed. The Department of Tourism has said it will be reaching out to local wedding planners to ensure that they are passing the information on to clients following revelationslast week that customs had seized a bride’s dress at the airport after the wedding party had failed to declare the gown. Destination weddings are an important part of the local tourism product but not everyone is aware of the rules regarding the often costly wedding gear. Customs were clear this week, however, when asked by CNS, stating that all couples coming to get married must declare the outfits and produce receipts so the value can be calculated. Collector of Customs Samantha Bennett confirmed that if the outfits are leaving with the couples after the wedding and honeymoon then the gear, including dresses and suits, will attract a hefty deposit which is refunded when the newly-weds leave with the garments they brought. Returning residents who will be remaining in Cayman, however, are all required to pay 22% duty over the $350 allowance on the value of any wedding outfits they bring in for the special occasion in line with the usual duty declaration. Last week, a former resident of Cayman who returned to the islands with his family to get married brought not only his suit but his future bride’s dress as well but failed to tell customs about the outfits. Although his fiancé was still living on Cayman prior to the wedding, the couple were leaving the island together permanently after the celebrations. An argument at the airport resulted in the temporary seizure of the bride’s dress, which was released with the payment of a small deposit of around $60. Bennett stated that in the recent incident involving a wedding dress the passenger opted to pay a deposit pending export versus paying the duty. “This is the normal process the Customs Department encounters on a weekly basis, as Cayman is a wedding destination location. It is unfortunate and a surprise that the passenger chose to seek the media before notifying the Customs Management of their concerns. We at no time suggested a $500 deposit; this was suggested by the passenger initially,” she said. “I would also add that the passengers did not initially declare the wedding dress or suit for the groom. These items were found by an initial search by the customs officer,” she added confirming that members of the wedding party were all declared visitors. However, the incident raised a number of questions as it was clear that many local wedding planners were unaware of the deposit requirement and the need for couples to have all of the receipts for their new wedding outfits, including dresses, shoes, suits, bridesmaid dresses and any other items over and above the $350 duty free limit. A spokesperson for the DoT said it would now reach out to stakeholders working in the wedding industry and ensure they are all aware of the requirements as the wedding business is a very important part of the local tourism product. “As a destination we pride ourselves on extending our Caymankindness which includes excellent customer service and high quality service delivery. We have a comprehensive information programme for couples which provides a multitude of information to assist in the planning of weddings in the Cayman Islands,” the department said. However, there is nothing on the DoT website or in the literature supplied that indicates there is a requirement for couples to pay deposits on new outfits. It does not state that couples need to bring all their receipts to allow customs officers to calculate the duty or in the case of most destination weddings to calculate the deposit required. While concerns have been raised about the bad publicity generated by last week’s confiscated dress, the DoT remained unconcerned about the incident. Failure to declare wedding outfits can result in those garments being seized and the customs department told CNS that everyone coming into Cayman is required to make a full declaration of all goods being imported into the island, and according to the law, failure to do so will result in the seizure of any goods and fines imposed – including wedding gowns.